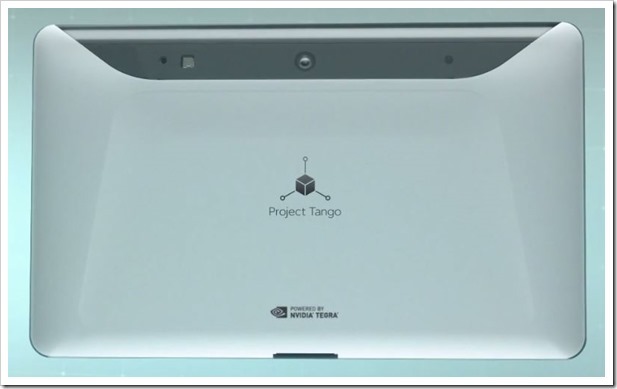 Google has just announced the launch of Project Tango tablet, which is a 3D tablet equipped with several advanced features such as motion sensing capabilities and powered with the mighty Tegra processors. ATAP is an advanced team within Google which aims to push the boundaries of human imagination and virtual experiences by doing research in 3D enabled motion sensing and implementing it across mobile phones and tablets. Earlier this year, ATAP has released a prototype of a smartphone which can map 3D motions and senses using their onboard sensors. Now, the same features along with several others have been implemented inside a tablet as well. Although Google’s ATAP team had been working in this new technology domain since long time, they decided to finally officially announce this launch as rumors were flying high that Amazon is soon going to launch a 3D enabled phone in third week of June. Many technology insiders are claiming that this news from Amazon actually pushed Google to announce their venture. This tablet will be having two cameras: one of them is 4 mega pixel sensor which will be equipped with 2 micron pixels offering high light sensitivity. The second camera will track motion with 170 degree wide angle lens. With their deep sensors integrated, the tablet would be able to map out indoor and outdoor locations precisely.